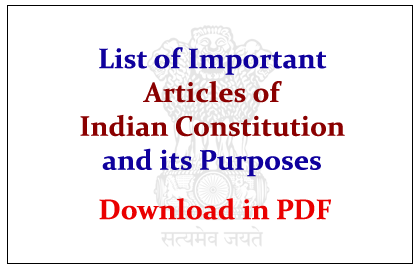 List of important Articles of Indian Constitution and its Purposes were given here, which was more expected GK Questions in Upcoming SSC CHSL Exams. Candidates those who are preparing for those exams can also download this in PDF. 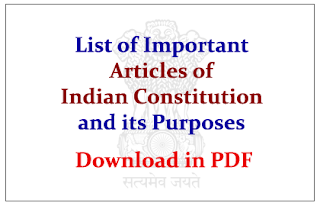 Article 348 – Language to be used in the Supreme Court and in the High Courts and for Acts, Bills, etc.